The March 30 – April 12, 2015, edition of Brian Cormier’s Weekly Update is out! Click here for a copy of this week’s newsletter. To subscribe, please fill out the form in the upper right-hand corner of my website. Please note that there will be no newsletter next week due to the Easter holiday. I read an interesting article online the other day about our penchant for complaining about this year’s utterly horrid winter. The gist of it was that the more we complain, the worse we feel. If you’re on Facebook or Twitter, you’ll certainly agree that complaining about the weather – especially with winter fatigue setting in – is as common as grains of sand on a warm beach. Thinking summer thoughts! The irony of this winter has been that Christmas and New Year’s were completely free of snow. I can’t remember the last time that both were. Even if we spent a green Christmas, there was always a storm by Jan. 1, allowing us to welcome a new year amidst the fluffy white snow. You remember those days? When snow was actually OK to have on the ground? But Ol’ Man Winter has been particularly ornery this year and left us green in December when it should have been white, and now white in March when we should have been green – well at least brown in the hopes of eventually becoming green. I think Ol’ Man Winter needs more fibre in his diet. It’s true that complaining makes it even worse. I’ve seen people going practically crazy online cursing the weather.‘Not again!’‘I can’t take it!’ ‘I’m moving down south!’‘This is driving me insane!’ The anger and depression can be contagious. I’ve seen some people even seriously contemplating moving. OK everyone, let’s get a grip. This year seems to be an exception. Perhaps climate change will prove me wrong, but I can’t imagine this happening year after year. Is this the new norm? I doubt it. Don’t put your homes on the market just yet. Sit back and breathe. And breathe again. And again. Even people whose favourite cartoon character is Frosty the Snowman are ready to turn their hair dryers on him at this point in the year. Nothing would make them happier than to see that old silk hat, corn cob pipe, button nose and two eyes made out of coal lying beside Ol’ Man Winter in a cremation chamber. This may sound silly for a grown man to say, but at this point of the year when I want to slap the next snowflake I see across its smug little face, I buy myself flowers. Sure, laugh and make fun of me while you’re putting out a bear trap to catch Jack Frost and researching how much apartment rent is in Costa Rica. Who’s crazy now, eh? I’m telling you, buy some flowers – they don’t have to be pricey – put them in a vase and plunk them down on your kitchen table. Each time you enter the kitchen, smell them. Take a whiff. Breathe in so hard that the entire vase lifts off the table. This is the smell of spring and summer. It will come again. There is hope. 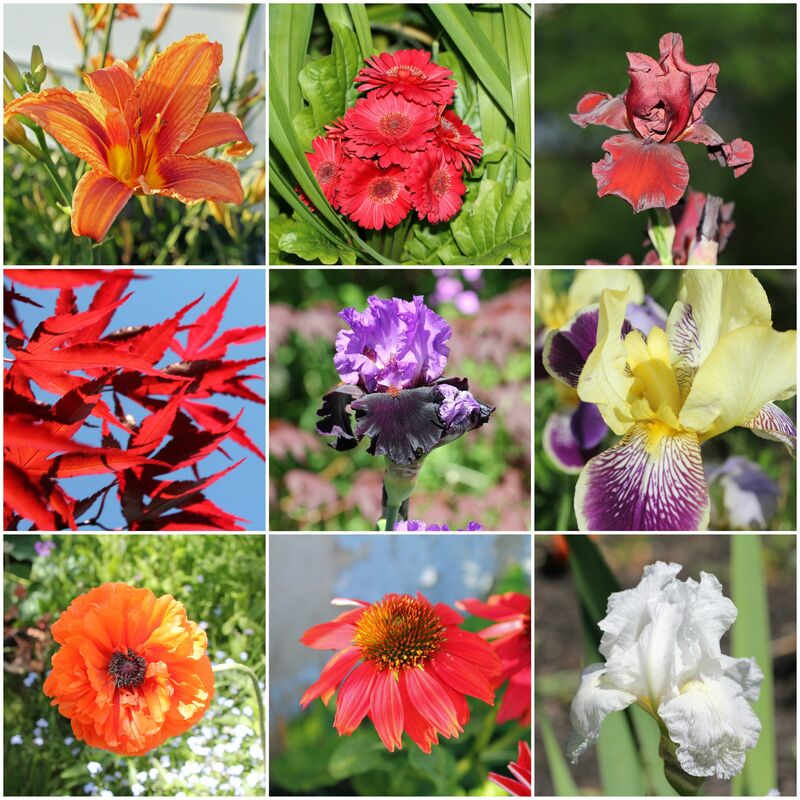 I even resorted to making a collage of photos of flowers from my garden last year. I’d forgotten how beautiful they were. It’s easy to forget that flowers do indeed exist when a squirrel is standing on a snow bank outside your bedroom window to peek in as you change your clothes. I guess even squirrels need a good laugh after all this snow. The nice thing about March is that the sun’s springtime position in the sky seems to be melting the snow no matter the air temperature. Stopping spring from coming is like putting your hands up against a tidal wave. There isn’t anything that’s going to stop the eventual changing of the seasons. Unless you work in a funeral home, you’ve probably forgotten what flowers smell like. I can assure you that spring will come. If you need a reminder, buy yourself some tulips or daffodils – or splurge on something fancier. Our gardens will be full again this summer. The bees will be buzzing and the birds will be chirping. Heck, I might even let a few lucky mosquitoes munch on my arm for a few minutes without swatting them. 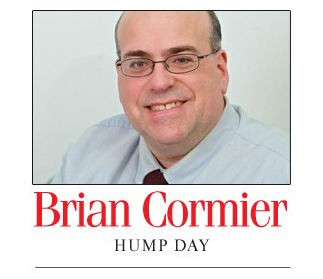 The March 23-29, 2015, edition of Brian Cormier’s Weekly Update is out! MONCTON, N.B. 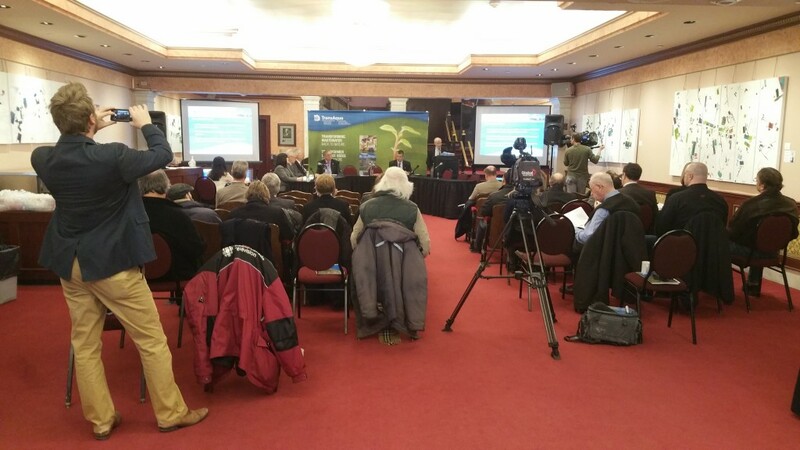 – TransAqua – the Greater Moncton Wastewater Commission (GMWC) – held its 2014 annual general meeting (AGM) today at the Capitol Theatre in Moncton. Commission Treasurer Chanel Michaud highlighted the $6.3-million surplus generated in 2014 by the GMWC compared to the budgeted surplus of $5.6 million. These results were a combination of increased revenues and expense controls. The Commission remained in an excellent financial position again at the end of fiscal year 2014. There are now $23 million in guaranteed investments, including a $5-million contingency reserve. As well, there is $9 million in interest-bearing operating accounts. The Commission’s type ‘AA’ compost – some of the best in Canada – continued to be popular with the public, municipalities and local landscapers in 2014, as well. A new operations centre at TransAqua’s Compost Facility on Delong Drive in Moncton opened in 2014 and new earth-moving equipment was purchased. An expansion is underway and will further increase capacity by allowing for an additional 5,000 tonnes of biosolids and 5,000 tonnes of wood waste thereby accommodating anticipated increase in volume of biosolids due to advanced biological treatment, as well as to prepare for future growth. TransAqua / Greater Moncton Wastewater Commission (www.transaqua.ca) was established in 1983 to support the wastewater collection and treatment needs of the Dieppe, Moncton and Riverview tri-community. Since then, it has developed a 31-kilometre collection network and a treatment facility to best deliver on this mandate. It has also become a leader in the reuse of biosolids through the generation of type ‘AA’ compost (the highest grade currently achieved in Canada) as opposed to disposal in a landfill site. The organization is now positioning itself to further upgrade its facilities to provide an enhanced secondary treatment approach that will allow it to meet recently introduced mandatory federal regulations prior to the 2020 deadline. If you’re like me, one of the first sections of the newspaper you look at is the obituaries page. First: Check to see if you’re there. Second: Check to see if anyone we know is there. This is a routine repeated around the world. Some smaller, more traditional communities even have obituaries still being read on the radio. My mother is from Prince Edward Island. I clearly remember my grandmother stopping everything at around noon when a very gloomy announcer came on CFCY Radio out of Charlottetown to read the obituaries. And if you dared speak during the broadcast, you risked having your name make the list the next day. Since I glance through the obituaries every day, I’ve noticed a trend which I find to be quite sad. There seems to be a major spike in the number of people not having funerals or wakes. While it’s true that a funeral costs money, so do many other things. Carefully planned, one’s final send-off doesn’t have to cost an arm and a leg, if cost is the overriding issue. Monetary reasons aside, I can only imagine that the ‘no funeral or visitation’ trend I see emerging is here to stay simply because of the sheer number of them. But I have to ask why this has become a trend. Is it because people are less spiritual? But even many atheists have funerals. Is it because of the cost? Do they tell their family to spend the money on a cruise instead? Is it because they don’t want to cause further pain by prolonging the grief? Perhaps it’s because they don’t want a bunch of sad people staring down at them as they repose in their Sunday best. Or maybe they’re afraid no one will show up. Or maybe they simply don’t believe in having a funeral, period! I know some spiritual people who’ve opted not to have visitation or a funeral. They go to church often but when their days are over they’ve left instructions to pretty much just be forgotten. No funeral. No wake. No nothing. Just pretend their lives never happened and that will be a lot easier. It’s my opinion that just the opposite is true. While it may be said that the religious funeral rite is for the soul of the deceased, i.e. the last rites or a church service, the wake and process of the funeral, reception and burial are for family and friends, too. It’s a transitional period from the time of death to when we come together as a community to celebrate a life and pay respects to those in grief, right through to burial. Now, if your family is in agreement with ‘no funeral,’ then it’s certainly not my place or anyone else’s to question that. If the entire crew is on the same page, then it’s their business. But I know of at least one family who purposely ignored the deceased’s wishes to just be ignored and get dumped in a grave (figuratively, of course) like it was just another day at the office. 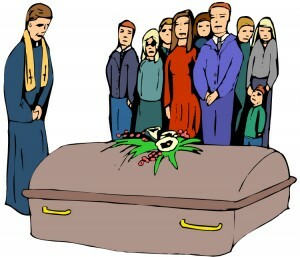 A huge part of a funeral is for the family and friends of the deceased. It’s about them, not all about the deceased. I can’t imagine losing a close family member or friend and they just disappear with no formal celebration or recognition of some sort. I once spoke to a funeral director who told me that the people he sees who are still struggling with grief many months or even years after the death of a loved one are invariably those who chose not to have a funeral. I believe him. We’re human. We need closure. We need the comfort of others. If someone I know who’s died doesn’t even have a funeral, I’m not even sure if I’m allowed to send condolences to the family. It’s all so confusing. Do your family and friends a favour and allow them the opportunity of gathering with the community for a proper send-off without having to feel guilty about ignoring your last wishes. I know one thing, if anyone whose affairs I have a say over after their death tells me they don’t want a final send-off of some sort, their wishes will likely be ignored. As sad as they are, funerals are essential parts of the grieving and healing processes for those left behind.